At Elite Pools and Spas of Houston, we immerse ourselves entirely in the pool and spa business. Throughout our years in business, we’ve come across some pretty interesting, astounding and downright dumbfounding facts about pools and spas. We thought we’d test your swimming pool trivia and share some of the most interesting swimming pool facts we’ve learned along the way. Swimming was clearly a beloved sport for the ancient Egyptians who regularly used the River Nile for practice. We have to assume their favorite event was “try not to get eaten by a crocodile.” Evidence as far back as 2,500 BCE, however, shows that noblemen had their own personal swimming pools used by princes to learn and perfect the sport. 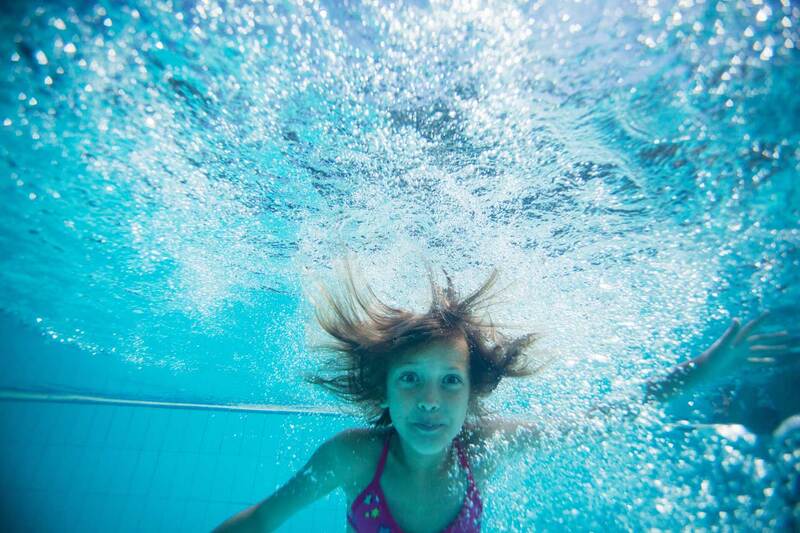 There are plenty of opportunities to learn how to swim, from visiting your local community center, heading to a water park, or building your own backyard swimming pool. As it turns out, Australia has more pools per capita than any other country in the world. We all those sharks, we’d stay out of the ocean too. The cries of “Marco!” and “Polo!” can be heard from neighborhoods across the country nearly every day. As it turns out, it’s the most popular swimming pool game, with Sharks and Minnows coming in at a close second. It was also the first ocean liner to have a gym! Extra fun fact: The swimming pool is still filled. Though we don’t recommend trying this at home, the main engines’ turbo pump on the space shuttle can drain the average swimming pool in as little as 25 seconds. That’s almost as fast as Uncle Marty’s famous cannonball. In 1915, a pool known as the Deep Eddy Swimming Pool was built in Austin, Texas. It started as a Colorado River swimming hole, transformed into a resort during the Depression, and now is a popular swim spot operated by the city. As you can imagine, the aforementioned Deep Eddy has undergone some serious pool remodeling throughout its years in operation. In fact, most pool owners renovate or remodel their pool at least once per decade (or more), be it for safety reasons, structural reasons, or to give their pool a fresh, modern makeover. So if you need a swimming pool remodel or want to start new pool construction, contact us today for a free quote!